Are you ready for a journey to ancient Rodos and the nearby islands? The Archaeological Museum has been housed in the building of the Hospital of the Knights, at Museum's Square, near the port of the city since 1916. 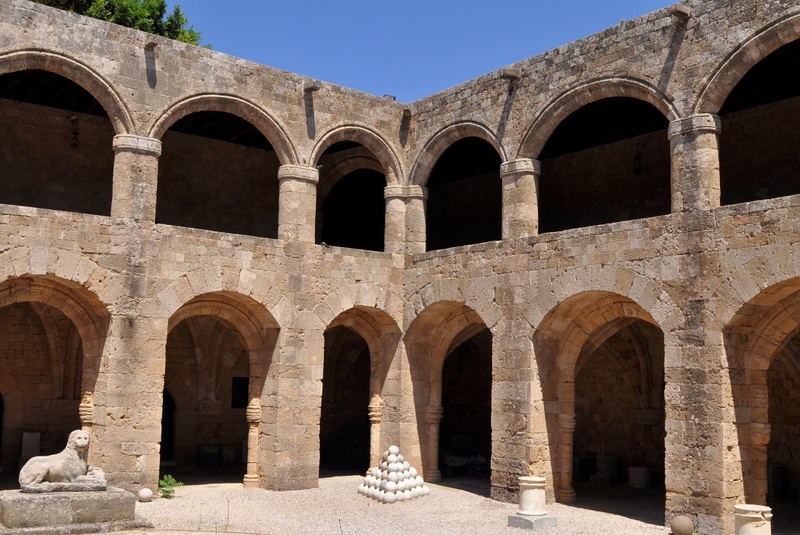 In this monumental and bioclimatic designed building archaeological finds from various areas of Rodos are being exhibited. Its construction started in 1489 by Grand Master de Lastic with money left by his predecessor Flouvianos, but was completed 49 years later by Master D 'Aubusson. It is built in Gothic style with renaissance elements. There are finds from ancient Ialyssos and ancient Kamiros, sculptures from the Archaic, Classical, Hellenistic and Roman periods as well as mosaic floors from the Hellenistic Age, from the town of Rodos. 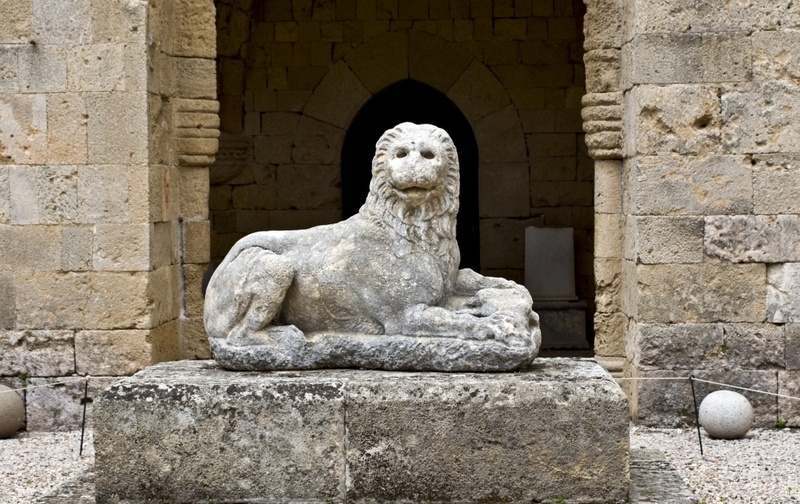 The main entry leads to an internal courtyard with an impressive marble lion and mosaic flooring from an early Christian church of the 5th century BC. Upstairs, there are sculptures of the season of Knights, as well as sepulchral columns, with rather resemble the Column of Kritoys and Timaristas. In the great hall of patients, there are sculptured tombstones of knights, knight emblems and a Roman sarcophagus used as a tomb for the Grand Master Kornegian exhibited.In the dining room, there are sculptured tombstones from Nisyros to be found. In the halls of the south side of the gallery, there are samples of Rhodian sculptures from the Archaic to the Roman period exhibited. In the garden of the Museum, you can find exposed sculptures like the statue of Victory and sculptured columns from the Hellenistic period. In the fifteen rooms of the northern and western side of the floor, there are burial sets (vases and small objects) from the 9th to the 4th century BC, from the Italian excavations in the necropolis of ancient Ialisos and Kamiros. From the pots, stand the amphorae from Fikellouron with depicting animals. In the halls 14 and 15, there is black and red pottery of the 6th, 5th and 4th century BC to be found. Also on that floor, you can see eight pieces of jewelry from the Mycenaean period and silver coins from the Hellenistic era. Visiting Hours: 8:30 to 15:00, except Mondays (in winter) and 08.00-19.40 Tuesday through Sunday, Monday 09.00-15.40 (in summer). Entrance: 6 Euro. Free entrance for children and students. Telephone: 22413/65256.